I really like OLLY line of supplements and this product is no different. Quick Melt Probiotic Sticks gets 3.5 out of 5 stars from me. I’m pretty impressed with these little stick packs. It’s about $25 for a box of 30 probiotic sticks, which lasts you a month. The directions say to take 1 stick daily and you can take it at any time of the day. This product gets major points for being incredibly easy and so convenient. To take them you just tear open the top of the packet, pour onto your tongue, and it completely dissolves within about 10 seconds! You don’t need any water whatsoever and you don’t have to refrigerate them. They’re also perfect for traveling or just to keep in your purse. I got the Crisp Apple flavor and it tastes good, pretty sweet though! They also have a Juicy Blueberry flavor that sounds good, too. There’s no gross aftertaste or anything, it literally just dissolves and you’re good to go. I’m impressed that it has 10 billion CFU and 4 solid strains. 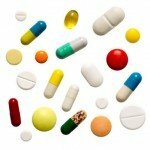 Usually anything that’s not a capsule, like gummies, chewables, mixes, etc, is severely lacking when it comes to potency. This probiotic is also vegan, dairy-free, gluten-free, and uses natural flavors. It’s on the more expensive side, which is a bummer. You’re definitely paying for the ease of use and overall convenience of it. This supplement isn’t for everyone, it says to keep it away from kids and pets. I also didn’t notice a HUGE improvement with my IBS symptoms, but I did see some. But if you’re looking for a sweet, convenient way to take your friendly bacteria on the go, this might be a great option for you. In each individual packet of OLLY Quick Melt Probiotic Sticks, there are 10 billion CFU in 4 probiotic strains. It uses 2 specific types of B. Lactis: Bifidobacterium lactis BL04 and Bifidobacterium lactis HN019. 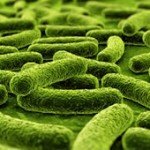 B. Lactis has been shown to enhance immunity and reduce cold and flu by increasing the body’s natural defenses. Studies show it also helps improve digestion, decrease lactose intolerance, reduce oral bacteria, and even lower cholesterol levels. Lactobacillus rhamnosus GG or LGG is another strain we like, as it’s one of the most widely used and researched probiotic strains. Studies show that it helps prevent diarrhea, fights off harmful gut pathogens, and may prevent some autoimmune conditions such as eczema. It’s also been shown to potentially prevent strep throat, reduce arthritis, and calm inflammation. A 2008 study from the University of Tennessee demonstrated that LGG produces 2 proteins that help heal the lining of the gut by promoting “epithelial integrity” and reducing permeability and oxidative damage. 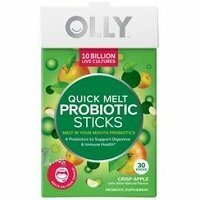 OLLY Quick Melt Probiotic Sticks are very allergy friendly. I’m really happy because it’s free of all the icky major allergens that cause such a heap of trouble! This probiotic is gluten-free, dairy-free, and vegan. There’s also no sugar added and it uses natural flavors. 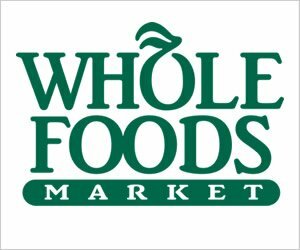 It is processed in a facility with products that may contain wheat, soy, fish, shellfish, peanuts, tree nuts, eggs, or milk. The other ingredients include: Xylitol, coloring from turmeric and spirulina extract, malic acid, natural flavor, and silica. 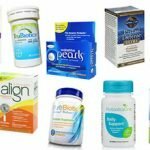 On the OLLY website, it costs $24.99 for a pack of 30 probiotic sticks. But you do have to tack on $5.99 for shipping (unless you spend $50 or more then it’s free). So that winds up being $30.98 total out the door. The 30 sticks last you 30 days. The daily cost is $1.03. That’s definitely pricier than average! But you’re paying for convenience. I didn’t really see any negative side effects while using these probiotic sticks. They’re pretty natural and allergy friendly. They do have xylitol, which is a sugar alcohol or substitute. Sometimes it can have side effects like gas, bloating, or diarrhea, but only if you consume too much. You should be safe if you stick to the stick pack directions of 1 per day. On the OLLY website, it says if you’re unhappy with the product for any reason you can return it within 30 days of receipt for a full refund. I’m happy to see this guarantee in place, especially since this probiotic is a little pricey. To buy OLLY Quick Melt Probiotic Sticks, click here.